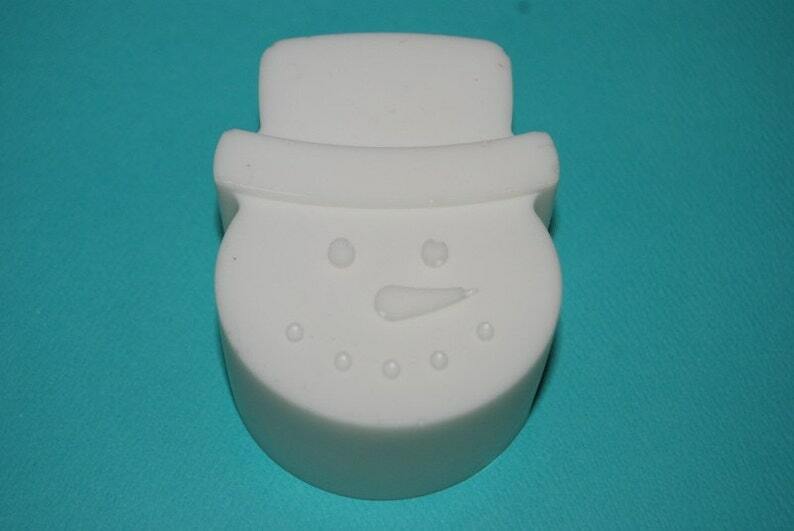 This is for a soap in the shape of a snowman head. This soap weighs ~3.5 ounces. It measures ~2.5 inches by ~2 inches and ~1.5 inches thick. It is colored white and scented Let it Snow. These are great to use as guest soaps, use as hand soap, use as travel soap, give as gift for someone special, or just display in the bathroom as decoration. It is especially a fun Christmas or winter gift soap for those that wish they could see real snow for Christmas.